New Unified EPF UAN portal is live. You can download UAN Passbook from new portal. From last few days, it was observed that UAN passbook download facility was not available. This facility is now restored. However, a method for downloading UAN Passbook is changed. Follow the process given below in order to download your UAN passbook. 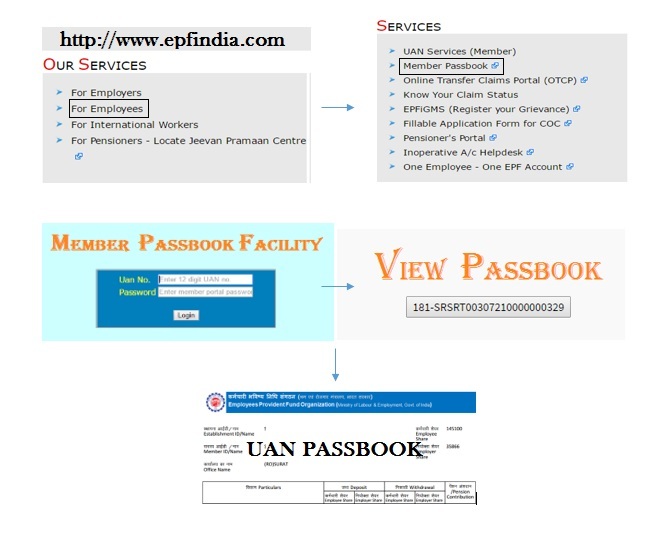 To download your UAN EPF passbook you need to go to EPF India portal. You will find “Member passbook” link in the services section. Click on Member Passbook it will open another web as shown in the image below. Enter 12 Digit UAN number and password of UAN website. On successful login, you will able to see view passbook tab as shown in the image below. Click on the button and you will able to see your UAN passbook. This facility is to view the Member Passbook for the members registered on the Member Portal. If you newly register to the member portal you will able to see your passbook next day. Similarly, if you change your password on member portal it will be effective on this facility next day. 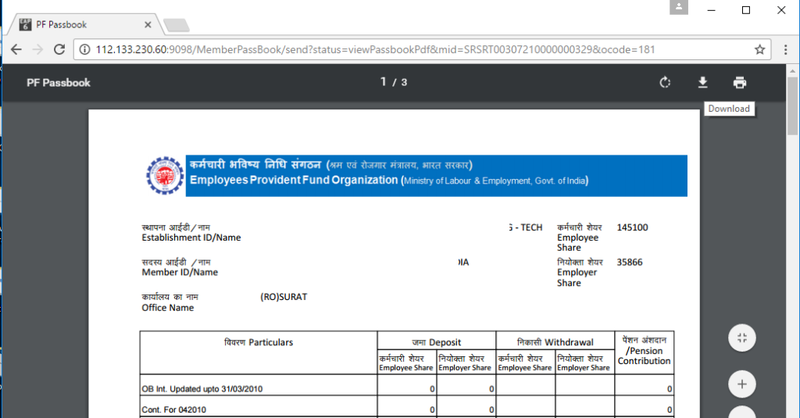 Only reconciled entry with EPFO office will be displayed in the passbook. If you are unable to login into above facility or if you have any other query related to EPF passbook you can get in touch with the helpdesk. The contact number of the helpdesk is 180011800. Helpdesk will remain operational from 9:15 AM to 5:45 PM. As on March 2017, the passbook contains entry only up to Dec,2016. In order to download your passbook, click on Download button as shown in the image below. Recommended – How to Verify Aadhaar & PAN at EPF UAN Website? It will download your EPF passbook as per specified by you. I hope above process of downloading EPF passbook will help all EPFO subscriber in knowing their balance. Do share your query in the comment section! what is memeber portal password. Your UAN Password is your member portal password.In case you forgot your password, you can click on forgot password link and get your new password.